If you ever need proof that this country has zero creativity, this is it. We can’t think of anything new. 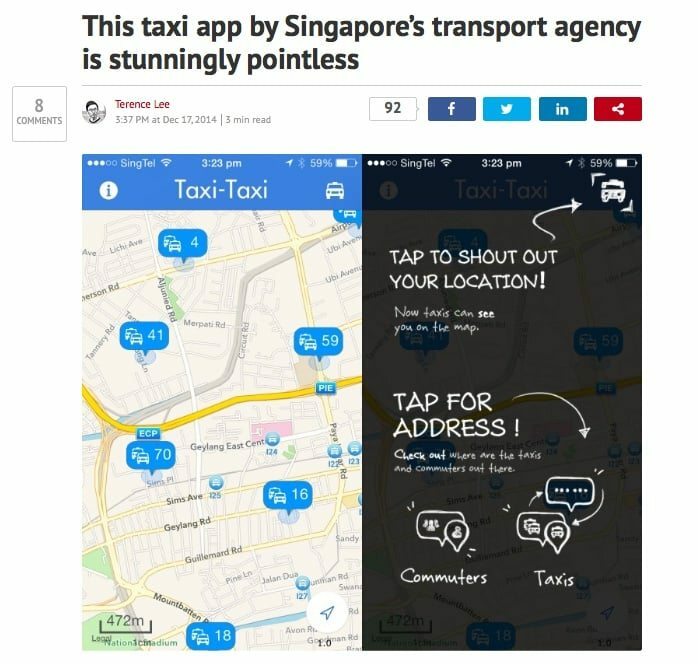 When the private hire apps appeared on our scene, LTA went ahead to copy them too – with a useless application. And now that the private hire vehicles have come up with a smashing new way to make money (via surge pricing), guess what – the taxi companies are copying it too! This is not innovation – this is merely copying and adapting! At lunch today, we talked about how a Japanese restaurant that had been relying on the sushi belt – an old imported technology, for over a decade and hasn’t come up with anything new since. A company calls itself “Breadtalk” sees some success and suddenly a whole bunch of copycats appear: Sweet Talk, Bread History, Cake Story – think of any lame adaptations and i’m pretty sure it exists. The key to business success is that you build a better mousetrap. What we’re doing is merely building another mousetrap and painting it a different colour. More interestingly, these taxi companies are copying the revenue models of Uber/Grab…but not adapting their other innovations. Before Uber came around, this country had a problem with having sufficient taxis for commuters. LTA couldn’t solve the problem, Comfort couldn’t solve the problem… it was Uber, a brand new idea from a foreign country that solved the problem. Now the taxi companies are copying the money making portion but don’t have any ideas on how to improve better commuter-driver matching, improve taxi distributions around the island or at least newer earning models to help their drivers secure or improve their income. They’re good at one thing though – giving commuters trouble. 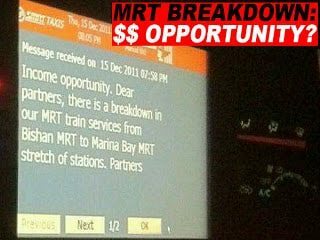 Now you can be sure that when it rains, or when there’s a train breakdown it would be an “excellent earning opportunity” and drivers would be incentivised not to take up street pickups. Thanks taxi company… thanks a lot.